Dana is a 3000-hour massage therapy program graduate and an active member of the College of Massage Therapists of British Columbia. She continues post-graduate studies in osteopathic techniques, myofascial release, and yoga therapy. Evoke Integrative Medicine is located at #1420 - 1030 West Georgia Street, Vancouver, BC. See map for directions. MVMTLAB is located at #615 - 55 Water Street, Vancouver, BC. Buzz #615 and come up the 6th floor. See map for directions. Please follow the prompts in your welcome email to complete a consent form and electronic health history intake form before your appointment. Refrain from wearing perfume or cologne to your massage appointment. Each session includes assessment, treatment, and homecare recommendations. Though the choice is yours, it is preferable to wear little or no clothing for the treatment to allow for a more complete application of massage techniques. It is common for clients to be naked or only wear underwear beneath the sheet. At all times you will be covered by a sheet and a blanket and only the part of your body being treated will be uncovered. Throughout the session, please communicate any concerns or questions and conditions will be adjusted to suit you. Cash and cheque payments are preferred, but all cards are accepted. Many people have extended health benefits through a workplace group insurance plan. Coverage varies, often with an annual ceiling amount. You will be issued a receipt to submit to your provider for reimbursement. British Columbians on Premium Assistance can claim part of their visit to a Registered Massage Therapist through their British Columbia Medical Services Plan. MSP will contribute $23 per visit for up to ten total visits per year. If you are hoping to recover some of the treatment costs in this manner please mention this when booking your appointment so that the appropriate documents can be in order. 36-hour notice is required for rescheduling and cancellations. Clients who miss appointments without giving proper notice will be charged in full and the ensuing receipt will not qualify for benefit reimbursement. 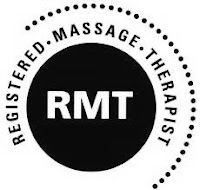 For general information on massage therapy please visit the Massage Therapists' Association of British Columbia's website via the button below.